Also known as the Eternal City, Rome is one of the oldest capitals in the world. 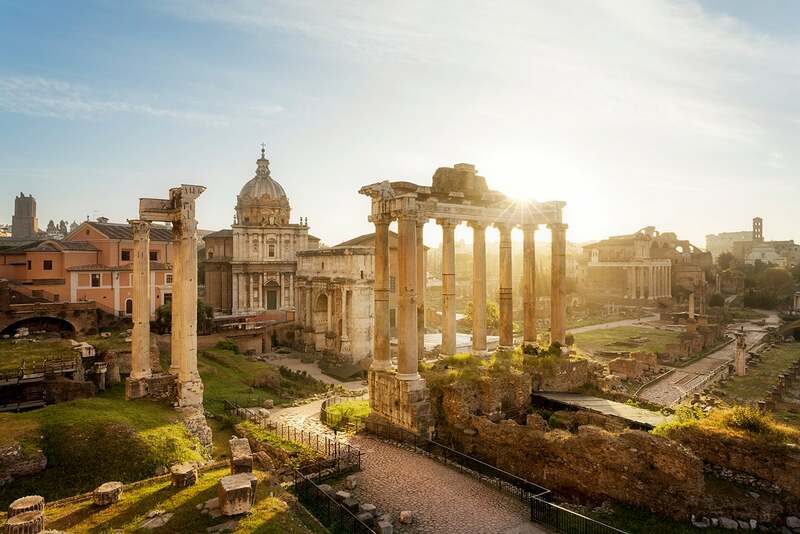 With ancient ruins dating back approximately 2,500 years, and nearly 300 fountains and 900 churches scattered across the city, travelers may find it nearly impossible to explore all of Rome in a single trip. It’s a haven for gourmands, history buffs and hopeless romantics, and nothing short of a dream for ambitious travelers trying to check major landmarks off the bucket list. If you’re planning your first-ever trip to Rome, don’t say arrivederci before consulting our guide to having an inspiring trip in Rome. Visiting Rome’s most iconic tourist attractions may be first on your to-do list, but planning well in advance can be crucial to having a pleasant experience. Buy tickets online, in advance, for tourist attractions such as the Colosseum, the Vatican and the Roman Forum. Even still, be prepared to wait in lines. Bring water, sunblock, a hat, snacks — whatever it takes to stay comfortable. Visit during off-peak hours (think: later in the afternoon), especially for spots like the Trevi Fountain or the Spanish Steps. Although it’s now prohibited to eat or drink near the fountain, you can still toss in a coin. Legend says this should secure a return visit to Rome in the future. When, inevitably, you need a break from the crowds, stroll just five minutes down the Tiber River, where you may find yourself completely alone (with the exception of a passing local walking his or her dog). Wandering through the Villa Borghese garden is also a tranquil alternative to the teeming tourist hot spots. It feels miles away from the busy city. 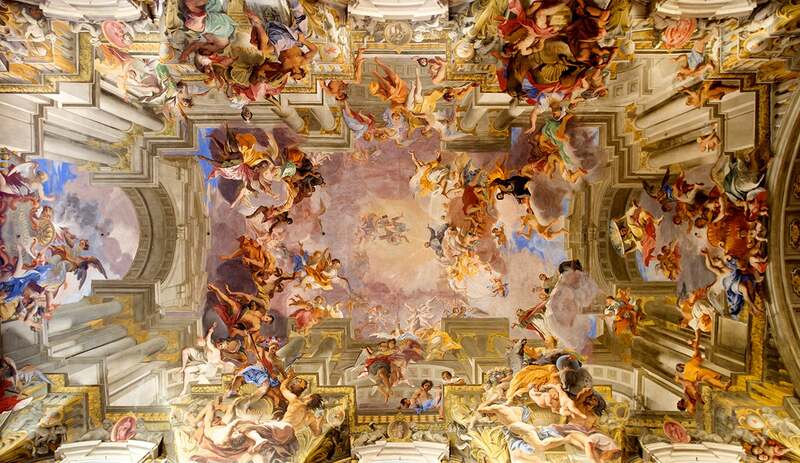 If you can’t fathom the lines for the Sistine Chapel, visiting the Sant’Ignazio Church is a wonderful alternative, with its fresco-covered ceiling. Added bonus? Entrance is free. 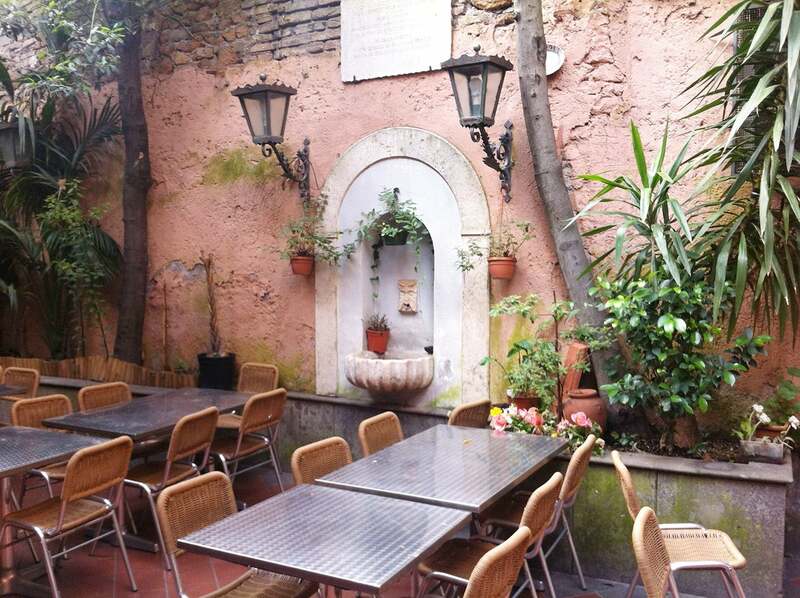 Travelers seeking a bit of solitude can also roam along the winding alleyways of Trastevere, admiring the ivy-covered buildings, vintage bicycles and artisan shops that flank the cobblestone streets. Stop for a plate of cacio e pepe (Roman pasta with Pecorino cheese and black pepper) at a charming restaurant like Checco er Carettiere. Continue refining your culinary expertise by sampling Rome’s distinct (definitely not Neapolitan) take on pizza. 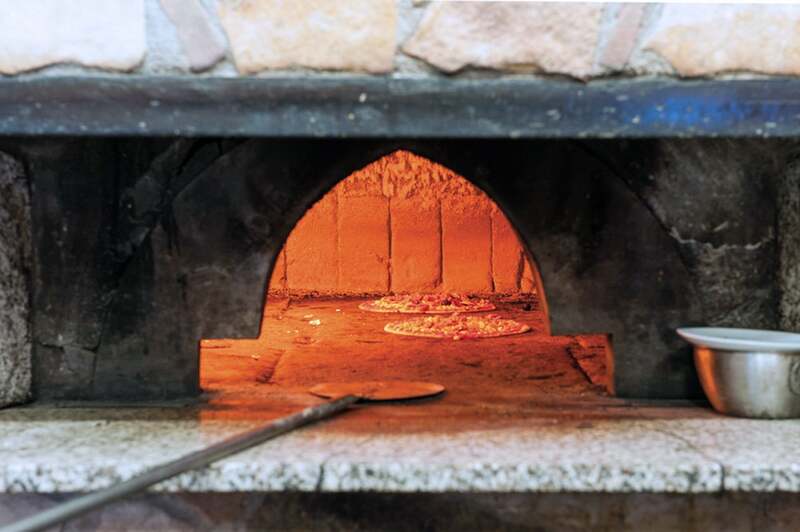 We recommend Pizzeria Ivo in Trastevere, or Pizzarium Bonci near the Vatican. If you want to develop a deeper appreciation for Italian fare, visit the Mercato di Testaccio, where locals do some of their shopping. You’ll spot dried porcini mushrooms and a dizzying variety of cheese and cured meats, as well as vendors hawking fresh fruit, vegetables and Italian wines. For a guided gourmet experience, check out Cesarine, a website that can connect you with the perfect food tour or wine tasting, and even help facilitate dinner at a local home. Rome is an excellent city to visit if you have points or miles to burn. Admire views of the Eternal City and beyond from the rooftop terrace at the IHG’s Hotel Indigo St. George. Relaxing in this property’s Roman baths — which include a large whirlpool, sauna and Turkish bath — is the ideal way to chill out after a long day of sightseeing. Room rates start at 200 euros ($235) per night or 50,000 points. If you need to stock up, consider the IHG Rewards Club Premier Credit Card, which is currently offering 80,000 points to new cardholders after they spend $2,000 in the first three months plus an additional 40,000 bonus points after spending a total of $5,000 on purchases within 6 months of account opening. It has a $89 fee and no foreign transaction fees. 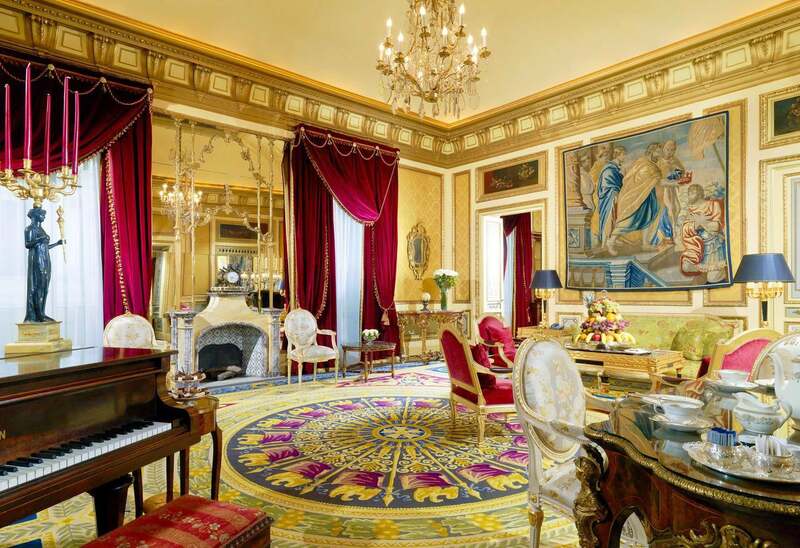 If you have a bulk of SPG points, on the other hand, consider the St. Regis Rome. (The hotel will be renovating some guest rooms until late summer, and we’re excited to check them out after the fact.) Prepare to be impressed by the 1894 landmark building that features Murano glass chandeliers and marble accents in the lobby. Room rates start at 560 euros ($656) per night or 20,000 Starpoints. If that feels a bit out of reach, SPG also has Le Méridien, Sheraton and Westin hotels in Rome with less costly redemptions. Of course, you can sign up for the Marriott Rewards Premier Plus Credit Card ($95 annual fee), which is offering 75,000 points after you spend $3,000 in the first three months. Marriott points transfer to SPG at a 1:3 rate but, starting in August, your Marriott and SPG accounts will be merged. Alitalia, a SkyTeam partner, has a hub at Rome’s main airport, Fiumicino (FCO), though the airline has filed for bankruptcy. Despite rumors that Ryanair would purchase the airline as well as recent sales bids from other airlines, it seems the future is uncertain for Alitalia. For now, however, it’s business as usual, with flights operating from US gateways such as New York (JFK), Miami (MIA) and Boston (BOS). You can transfer Amex points earned with the Platinum Card® from American Express and others to Alitalia’s MilleMiglia program at a 1:1 ratio, with award rates starting from 30,000 miles one-way in economy or 48,000 miles one-way in business. Just keep in mind, you may want to avoid booking anything too far in the future on Alitalia due to its uncertain status — it may still be best to consider a Delta Air Lines flight from Atlanta (ATL) or New York (JFK) instead if you prefer to travel with SkyTeam. Star Alliance flyers, conversely, can choose United, which flies nonstop to Rome from Newark (EWR) and Washington Dulles (IAD). Try searching for a saver award, which costs 30,000 MileagePlus miles in economy or 60,000 in business one-way. For Oneworld loyalists, American Airlines offers nonstop flights from Charlotte (CLT), Chicago O’Hare (ORD), Dallas/Fort Worth (DFW), New York (JFK) and Philadelphia (PHL). To use your AAdvantage miles, search for a MileSAAver Off Peak economy award for 22,500 AA miles or 57,500 in business one-way. And if you’re coming from a European hub like London, Paris or Madrid, flying a low-cost carrier like Ryanair to Rome’s secondary airport, Ciampino (CIA), is another arrival option. Or, you can travel by train from Milan, which takes around three hours. Feature image by @mkibirev via Twenty20.